Insite Media Design creates ecommerce websites that are mobile-friendly, visually engaging and results oriented. We develop ecommerce websites using two platforms that are proven to generate sales – BigCommerce and WordPress. These platforms focus on intuitive and fast checkout, are search engine friendly and are easily customizable to reflect your brand. Whether your business is selling five products or over one hundred, Insite Media Design will suggest the best platform for your needs. After the website launch you’ll have full control over your website through an online management system where you can easily change pricing, add more products, manage orders, manage your customers and more. If you’re thinking of selling your products online, call us for a free consultation to discuss the best online sales solution for your business! 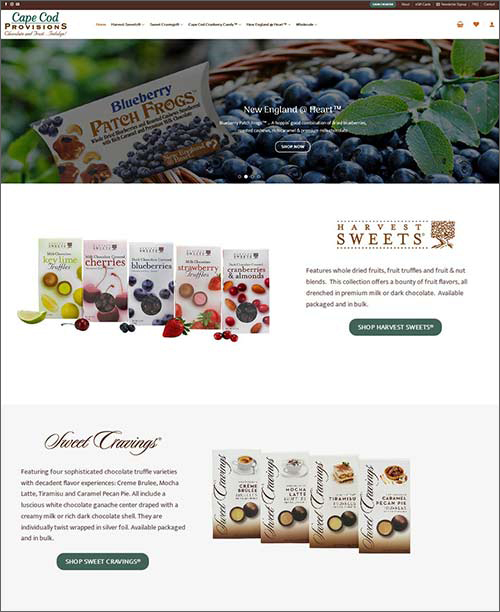 Cape Cod Provisions is a responsive retail and wholesale WordPress website with WooCommerce as the ecommerce platform. In addition to providing online retail sales, a wholesaler section is password protected and can be accessed once a wholesaler is approved after online registration. Quantity discounts are offered on most products. This robust ecommerce website has great administration extras to help capture sales from visitors who have abandoned their cart. A feature-rich My Account section offers a Order It Again button, Track Shipment, My Wishlist and more. 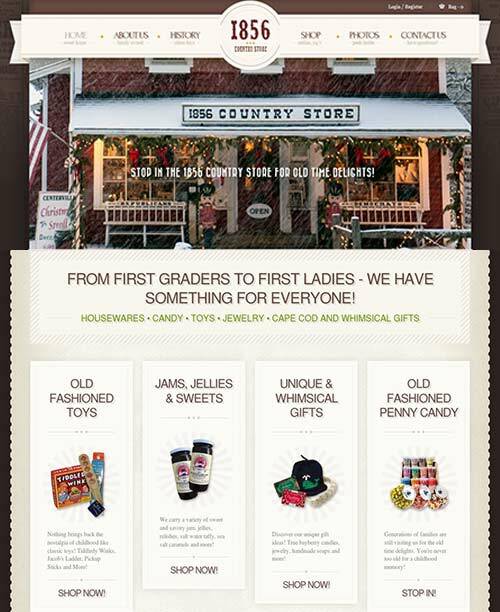 The 1856 Country Store has been a beloved piece of Centerville and Cape Cod since 1856 and we were excited when they hired us for a redesign that reflects the era of days gone by! We provided a retro theme and added custom graphics throughout the website to provide an old-time look and feel. Built in WordPress with WooCommmerce, the website includes a great product up-sale system and an integrated e-newsletter program to notify customers of promotions and sales.